"Rest" is short for "restaurant," a word used in over 20 languages throughout the world. This makes the .rest domain universal and understandable for millions of people around the world. Apart from its vast applications, it is also short and easily remembered. With the advances of mobile devices, people are starting to search for bars and restaurants near them, wherever they go, on the spot. With the .rest domain, your restaurant will be easy to find by your customers, any time, in any place. 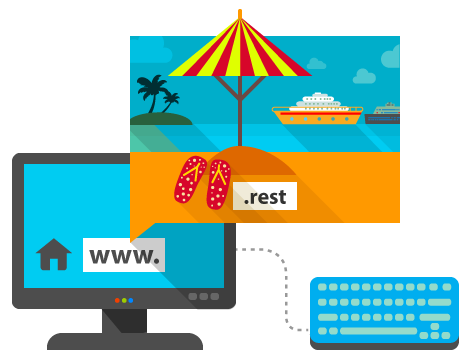 In addition to restaurants, the .rest domain may also be used for vacation websites. Don't miss out on the opportunity to register your most wanted domain!